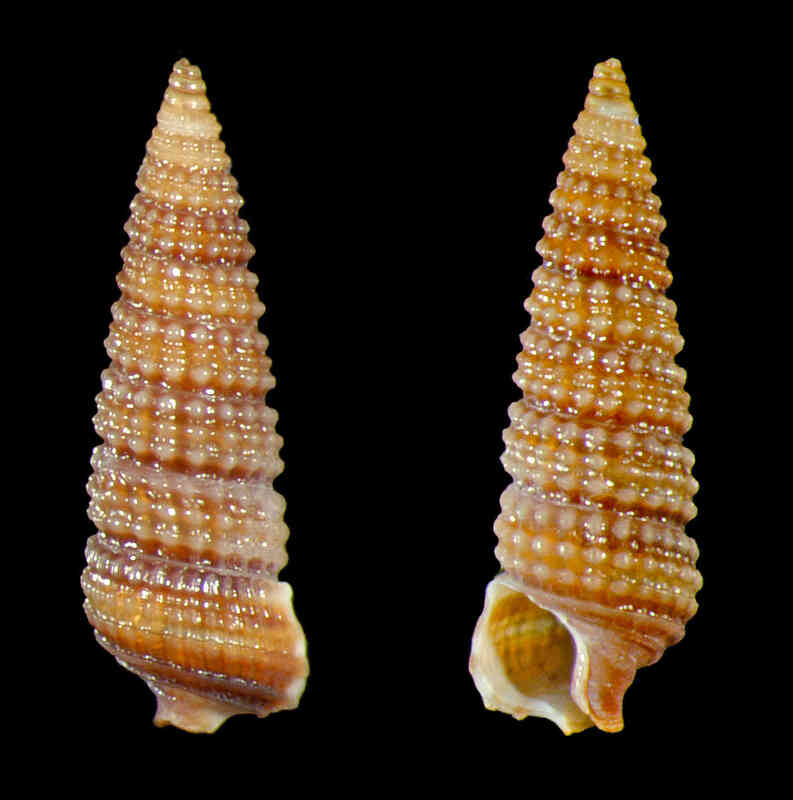 Shell size to 5 mm; shell elongate, sinistral. Sculpture of spiral rows of rounded beads, two rows on first 4-5 whorls, three on subsequent whorls, four on last whorl. Aperture lozenge-shaped, with short anterior canal. Base with 1-2 narrow cords near periphery. Triphorids live in association with sea sponges (which in turn may be found locally living on rocks and other hard surfaces).